So I had 23% battery life on the Note 4, opened the camera app and started recording a video and the phone flat lined in around 3 seconds. Anyone else had similar occurrences? Battery percentage remaining is based on voltage. 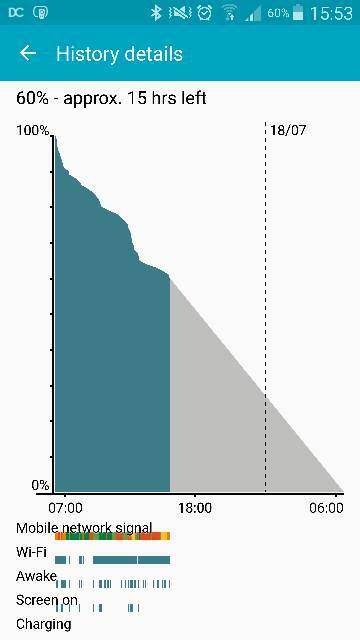 The trouble with Lithium voltage is that the voltage is high and rapidly decreasing for the first 20% of discharge, medium and pretty steady for the next 60% of discharge, and drops off rapidly for the final 20%. Probably running something that uses the screen, camera, and continuous writes to memory (all of which consume battery) on the edge of the voltage drop cliff artificially dropped the voltage and "fooled" the phone into thinking the battery was nearing discharge, or actually drained the remaining power very quickly. How long have you had that battery? 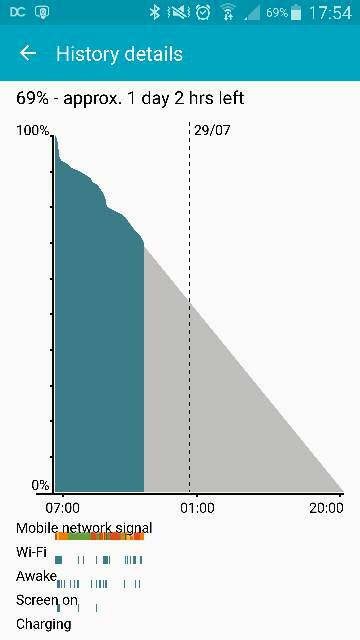 That curve is typical of a battery growing a dendrite. (See Lithium Battery Dendrite links to learn what that's all about.) There's nothing you can do but replace the battery. Most carriers won''t cover it under warranty if the phone isn't within the exchange period (normally about 2 weeks), but you can ask - it's - as you can see from the links - a very well-known problem. Place it flat on a table. Does it wobble at all when you alternate pressing back and forth on both long sides? Turn it over and try the same thing. Any wobble? If it wobbles at all, look closely for a bulge. If you see one, there is a blown cell. Time to replace the battery. If the battery sits flat with no wobble, the battery is likely fine (no blown cell) but you can replace it and see if that solves the issue. Mine starting to do this too but it shuts off around 10%. May need to get new battery soon. natehoy, Frozen Corpse and goin_nil like this. $25 to try out a new battery is money well spent. Because even if that's not the root cause (which it probably is), at least you have a spare battery to carry around. I had the same problem...from 30% to dead. I didn't notice any bulge and Verizon swore the battery was OK. I just purchased an Anker battery and now the phone works just as well as when I first purchased it! Money well spent... Only costs $12 for one or #25 for two with a wall charger. Gozadaman, msndrstood, mountainbikermark and 1 others like this. So far so good. Will definitely invest in the spare batteries. Hopefully I can get that deal here in the UK. Phone was unplugged today at 630am and now 4pm with 60 odd percent left and looking more reasonable. A new battery may extend this further and I'll likely update again when I get the new battery. I'm noticing a lot of waking when the phone is in pocket or not being used so will have to use a wake lock detector to figure out what's doing that. 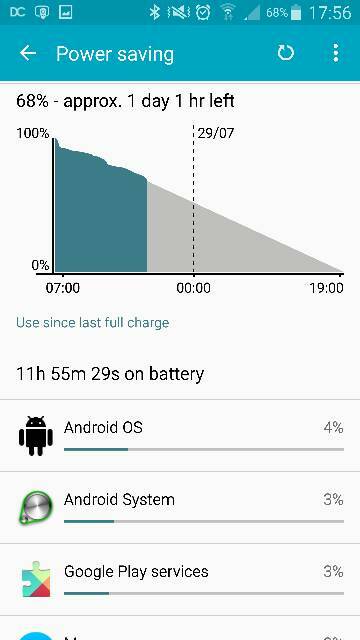 Apparently that's fun when not rooted on lollipop but nvm -.- also no noticeable bulge in the battery. Did it again :O this time it was sat on the side. Can anyone vouch for the 4500mah 3rd party batteries available for note 4? Kinda interested but will probably stay OEM. I notice on your screen grabs that you seem to have a really poor mobile network signal. There are many posts on this forum from people much more knowledgeable than I, who say that a poor mobile network signal is a huge cause of battery drain. It is, but I don't see a clear relationship between weak signal and the steeper drops in battery, plus the battery simply should not drop from 20% to 0% like that. I used one for a previous device (HTC Thunderbolt, legendary for bad battery life) and loved it. Buy from a reputable vendor and pay attention to reviews. And understand your phone will change from a "floor tile" to a "brick". I'll stick with OEM. Can't be doing with the density of the larger ones with custom backplates. The smaller slim ones seem like scams with labels over the top of the capacities they actually are. Bizarre how my signal is so much poorer. I've been with the same carrier my entire life and every iPhone would have full signal strength - even the iPhone 4. Note 4...not so much as you can see. Further trawling through the AC forums suggests similar issues when using nothing but fast charging on the phone. Maybe that's a cause? I've no issue not using fast charge but assuredly the phones hardware and battery are optimised to do this with no negligible affects. Maybe not... When I get the new battery I'll use normal charging and see how that compares too. But in regards to reception I can only assume the Note 4 has a worse off antenna than those of the iPhone. My partner has the iphone 4 now and with the same carrier her signal is full where mine is none existent. Even when I scale it back to just 3G. :S odd one considering signal strength goes full should I step outside. I doubt that it's fast charging causing it. I've had my Note 4 since launch day (9 months or so) and I use fast charging every night, leaving the phone on the charger all night long. No issue with my battery. 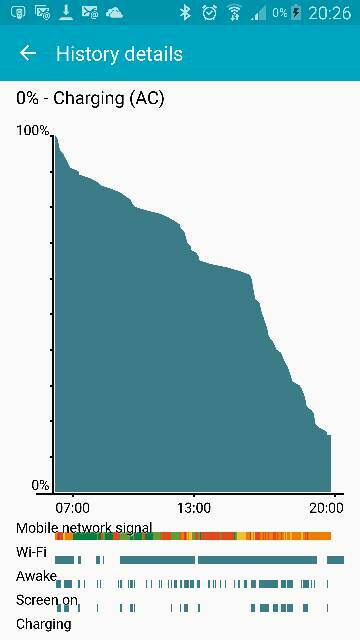 Poor signal strength does drain batteries quickly but I can't explain the sudden drop from 20% to zero%. My phone has been doing this for over a month. Goes from 30% to dead. So frustrating. It already only lasts about 2 hours on a full charge anyway. I have to constantly have it plugged it. Ok, so I'm not alone. My battery does this too. Thought it was the constant Adaptive Fast Charging from day one. Maybe not. I have a new battery coming from Amazon, $14.11 shipped. No more AFC and I'll see how it goes. Strange no? This is what I expect though. Agreed. After two weeks of having mune set up the way I wanted, the battery started draining quicker today than usual. Hopefully 5.1.1 is near. So right now my battery goes from 100% to 50% in about four hours. I've had the phone since it first came out. Is this normal? Oh and that is just from sitting untouched. I'd say not. 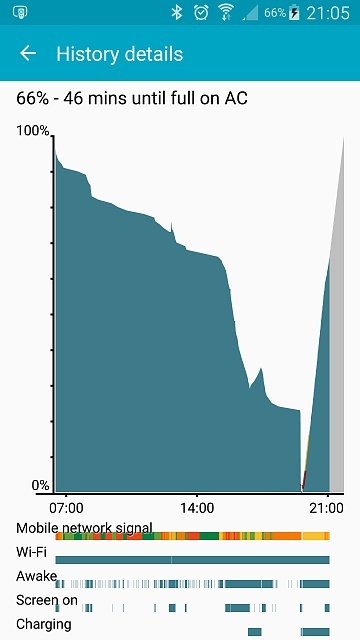 Maybe post a screenshot of your power usage screen. There's a lot of things that can be tweaked to extend battery life. By ducatirider in forum New to the Forums? Introduce Yourself Here! I want to back up photos from my S6 to my computer.